The upshifts are suspiciously quick. 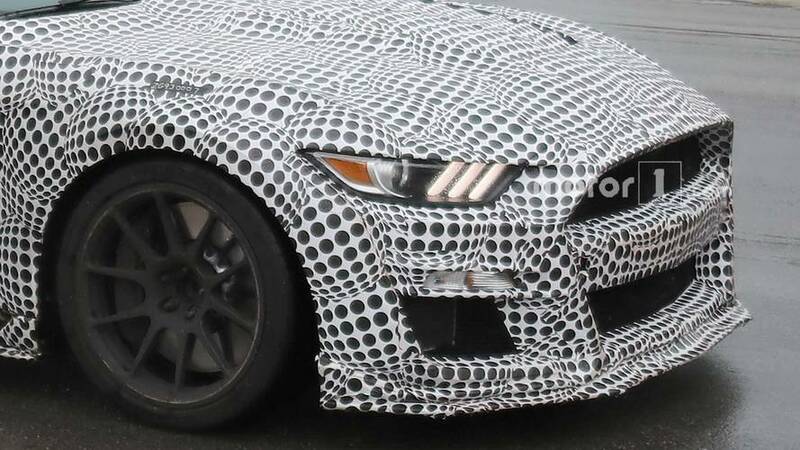 A new video of a camouflaged 2019 Ford Mustang Shelby GT500 gives more away than just some exterior design cues. 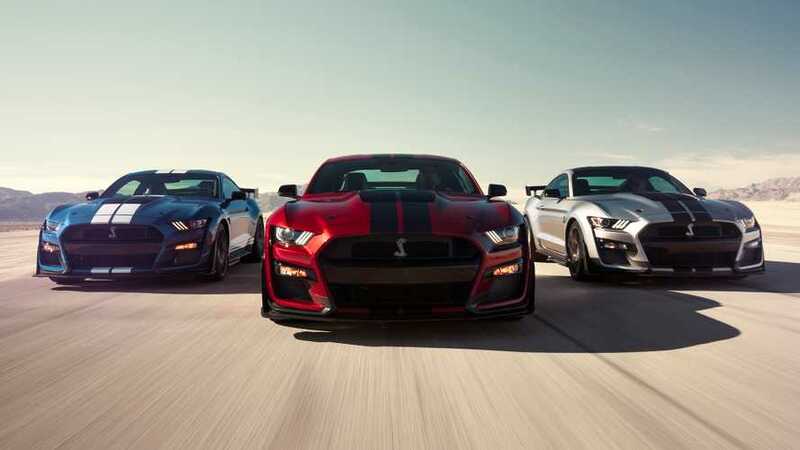 If you listen to the video, you’ll notice the GT500 upshifts are quick – too quick for a manual transmission. Rumors hint the GT500 could receive a dual-clutch transmission, possibly from the seven-speed unit from Ford GT. Ford could also throw in the 10-speed gearbox, but to our ears, this sounds distinctly like a DCT. 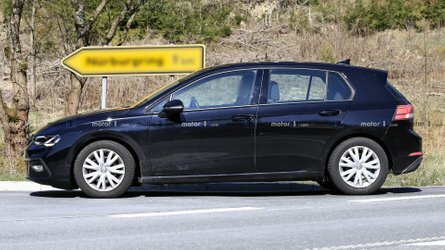 The accompanying spy photos don’t show much more than what we’ve already seen. The polka dot camouflage returns; however, you can still see several details. Up front, you can see the larger intakes feeding the suspected supercharged 5.2-liter flat-plan crank engine, which will produce more than 700 horsepower (552 kilowatts), according to Ford. That’s a sizeable increase in power over the 5.2-liter’s 526 (302 kW). 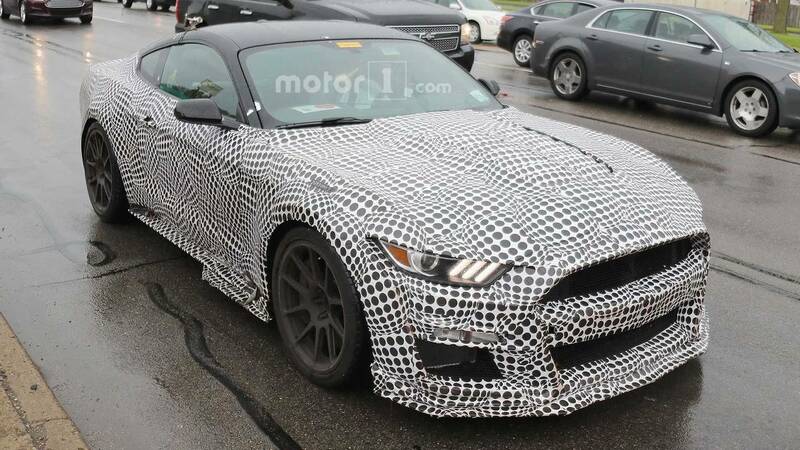 However, there are rumors the GT500 could have a naturally aspirated 7.0-liter engine instead. On the hood, there are heat extractors housed in a sizeable bulge. Side diffusers stop mid-door, further hinting at the GT500’s performance prowess. 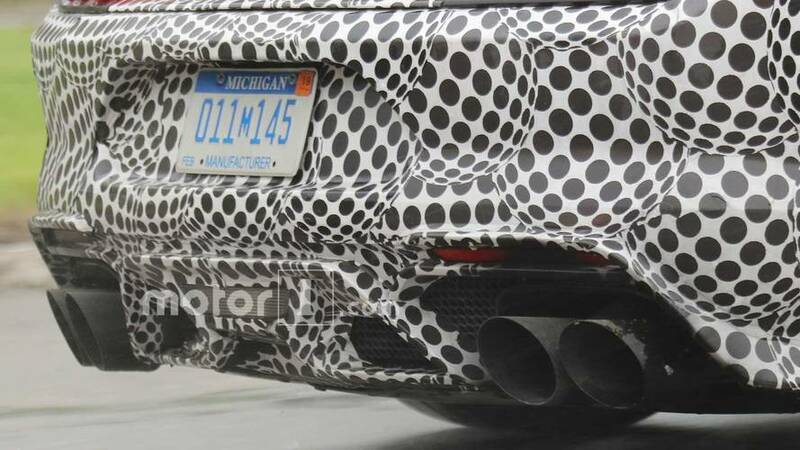 At the rear, there’s a slightly revised rear fascia with massive quad-exhaust pipes. Inside, a carbon-fiber dash is noticeable. Other changes appear minimal from the photos, with the center stack appearing unchanged. 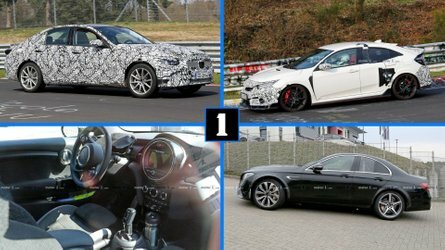 It should be similar to the interior of the GT350. You can notice a manual transmission inside, but that’s likely for show. 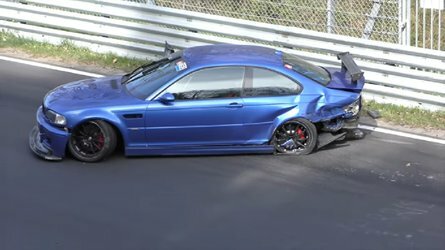 The upshifts are too quick for a manual gearbox. Good try, Ford. The shifter also looks misaligned inside the Mustang – at least that’s how it looks from the photo’s angle. We should see the GT500 later this year, but Ford’s isn’t providing specifics just yet. 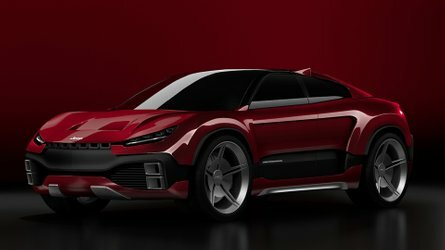 The 2019 Detroit Auto Show could be a great venue for such a reveal. 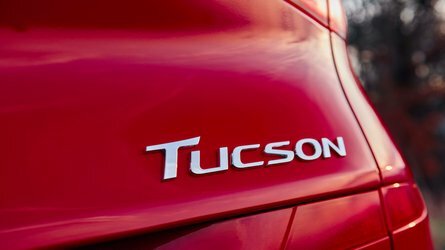 Yes, it will have a massive amount of horsepower and performance, but it’s unlikely to dethrone the 808-hp Dodge Challenger SRT Demon regarding horsepower. Then again, the GT500 won’t be a car designed for the drag strip. It should be a track star.